TBC Fall Century - Annually the last Saturday in September! NOTE: T-shirt selection no longer available. Just a reminder. Only those registered by midnight Tuesday, September 4 will receive the ride's commemorative t-shirt. the TBC Fall Century ride beneficiary. Online registration is closed ... come and register at the ride! 76th St N & Yale. to receive a ride T-Shirt. Printed maps with cue sheets will be available at the ride. You can print cue sheets and/or download GPS files to your own computer from the RideWithGPS page. If you have a Ride With GPS membership, you can log in and print the "map" along with the cue sheet; non RideWithGPS members can only print the cue sheet. 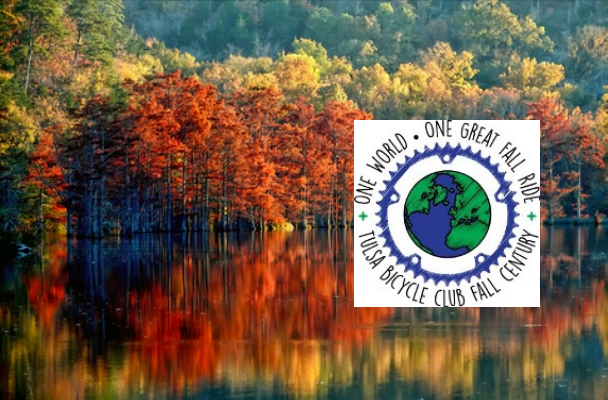 On September 29, 2018 the Tulsa Bicycle Club Fall Century will roll out for their annual fall charity ride. The ride over the past 16 years has rolled different places and supported different groups. 2018 will be our 17th year of exploring the back roads of rural Tulsa county. 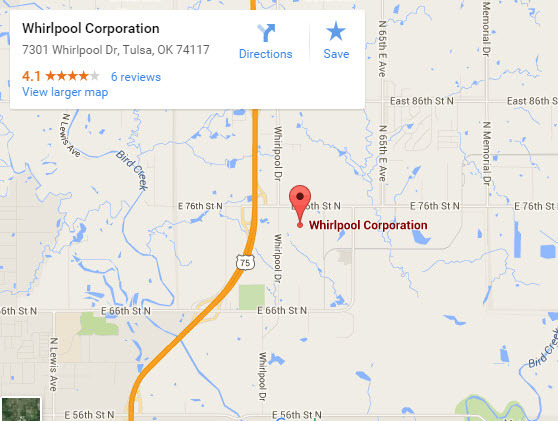 Add great SAG support, well-stocked relaxing rest stops, and you get the very best in Oklahoma cycling in the fall. Read on and register soon ... and why not join the Club and save yourself $5 on registration for this ride plus enjoy the many other benefits of membership throughout the year?! New to group/event riding? Check out our Riding In A Group and Safety Guidelines for Organized Rides web pages for tips and suggestions to make your Fall Century a safe and pleasant ride. Register on-line until midnight Tuesday, September 25th, 2018. NOTE: t-shirt deadline has passed. RIDE-DAY REGISTRATION for ALL RIDERS is $45; cash or check only. 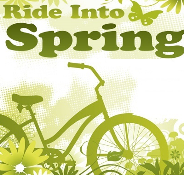 TBC Members receive a $5 discount when registering on-line prior to ride day! MUST HAVE REGISTERED BY MIDNIGHT TUESDAY, SEPTEMBER 4th, 2018 TO RECEIVE COMMEMORATIVE RIDE T-SHIRT. 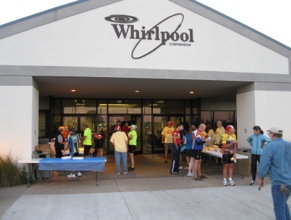 Packet pick-up & registration begin at 7am on Saturday morning, September 29th, 2018 at the Whirlpool Plant (directions and map below). Ride proceeds rain or shine but may be cancelled in the event of severe weather; NO REFUNDS. T-shirts not claimed by end of ride day will be donated to local charity. Rest stop and SAG support are for REGISTERED RIDERS ONLY. Riders under age 18 must be accompanied by an adult who is also on a bicycle and riding with them. Group/Event Riding: See our Riding in a Group and Safety Guidelines for Organized Rides if you're new to group rides or just need a refresher on group riding safety and etiquette. We'll be posting 2018 maps soon; routes may very slightly from 2017 depending on road construction and condition.